Jubilee’s staff have extensive experience of a wide range of property in the local area. Our up to date technology is aimed at giving your home the most extensive marketing coverage available in the industry to aid a smooth and much less stressful move. Fast moving and dynamic. Our staff in the sales & lettings departments continue to lead the way with all the information necessary to help you move home. Our sales team will ensure that you reach the widest audience possible in the quickest period of time. 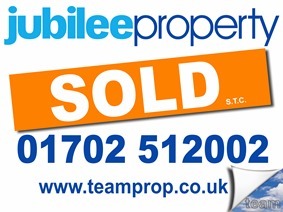 For a free valuation click here or call 01702 512002. A realistic price of what the property should achieve based on available comparable evidence. An estimate of moving and solicitors costs. Recommendations of how to improve your chance of selling or letting the property and how to achieve the best possible price. If you are already on the market , then a re-evaluation of your current marketing price along with a plan to successfully introduce a buyer over a reasonable time scale.